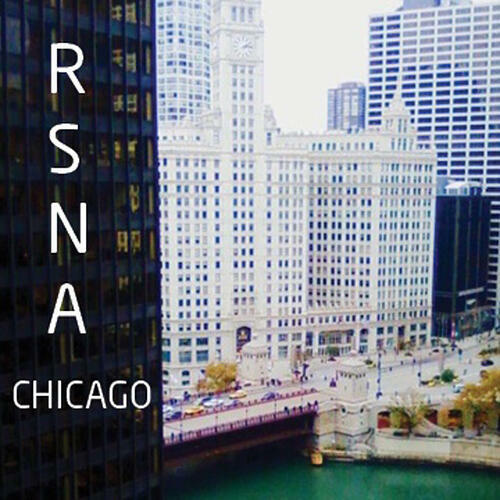 It’s that time again—imaging professionals from around the globe are descending upon Chicago’s McCormick Place for the 104th Scientific Assembly and Annual Meeting of the Radiological Society of North America. With 680 vendors scheduled to exhibit, there’s no way you can hit them all. At Atlantis Worldwide, we’ve done our homework. Here is a short list of must-not-miss technology to check out while you are there. If you missed the show you can still read about some of the new imaging equipment that was featured. The new FDA-cleared Aquilion Precision from Canon Medical was featured. It delivers twice the resolution of conventional CT systems and is able to resolve anatomy as small as 150 microns and 50 lp/cm. The detector channels are only 0.25 mm thick, as well. There are also improvements in scintillator quantum efficiency, detector circuitry and other data acquisition components. You get an impressive dose-efficient detector with ultra-high resolution capabilities. Canon Medical is also featuring Aquilion ONE/Genesis Edition. It can image the brain with a single 640-slice rotation and the system’s Neuro ONE Protocol allows the acquisition of multiple low-dose volume scans of the entire brain during contrast infusion. This provides whole-brain perfusion plus whole-brain dynamic vascular analysis in just one exam. Philips Amsterdam has previewed the latest configuration of IQon Elite, its spectral detector-based CT Scanner. It provides faster reconstruction speed and improved visualization that enhances diagnostic confidence and enables healthcare facilities to expand patient volumes. The new radiation therapy planning couch and bariatric table top provides increased positioning controls for larger patients. The Scenaria View by Hitachi Healthcare Americas is a 128-slice CT scan with a unique lateral shifting table and 80 cm-wide bore. It can handle patients weighing up to 550 pounds. And don’t miss out on the OnSight 3D Extremity System from Carestream. It uses cone-beam CT technology to capture high quality, low-dose images of lower and upper extremities, including eight-baring exams. GE Healthcare has exhibited the SIGNA Premier, a new wide-bore 3.0T System. It has a new level of clinical performance with additional research-focused capabilities for neurology and oncology. The SIGNA Premier has machine learning technology software that includes cloud analytics. The MRI has SuperG gradient coil technology. Philips featured the Ingenia Ambition X MRI System. The System enables helium free operations and combines the company's BlueSeal magnet with Compressed SENSE technology to help reduce downtime and speed up exam times up to 50%. Cannon Medical showcased the Vantage Galan 3T System which featured new software enhancements to streamline clinician workflow. Radiologists will be able to perform one-click auto-alignment exams for brain, knee and heart. GE Healthcare and Hologic showcased new technology, as well. The Senographe Pristina from GE Healthcare is a mammography system designed to increase patient comfort. It has armrests that position women to relax during the compression and image acquisition process and delivers advanced diagnostic accuracy at the same dose as 2D mammography. 3Dimensions mammography system by Hologic is a high-resolution breast tomosynthesis system that changes the patient experience by improving comfort while maintaining high image quality, dose, exam time and workflow. Hologic also featured its Clarity HD high-resolution 3D imaging technology which delivers advanced 3D images regardless of breast size or density. It also has two times the tomosynthesis resolution of the standard 3D mammography exam. At Atlantis Worldwide, we’re always excited to learn about new medical imaging technology. However, if your healthcare facility, practice, clinic or hospital has medical imaging needs, remember that sometimes a refurbished or used CT, MRI or Mammography system could make more sense. To find out more about the benefits of buying refurbished medical imaging equipment, talk to one of the experts at Atlantis Worldwide today. Contact Us Today! Physicians & Social Media: Yay or Nay?